In Aspen, you'll find everything from private vacation homes and condos, to B&Bs, inns, lodges, and larger hostelries, but not, interestingly enough, chain hotels. Here is our report on Aspen's best hideaways, from elegant new Great Escapes to other recommendable retreats. This beautifully restored Victorian hotel is one of Aspen's two uncommon hostelries. 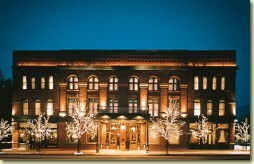 When it was built in 1889, it was the most luxurious hotel west of the Mississippi. Today, its atmospheric period architecture and decor lend a sense of place and history, making a stay at the Hotel Jerome truly special.